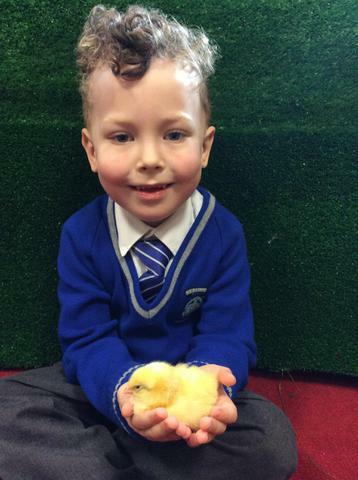 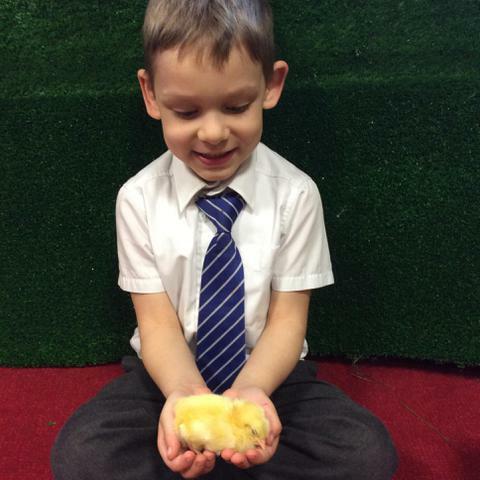 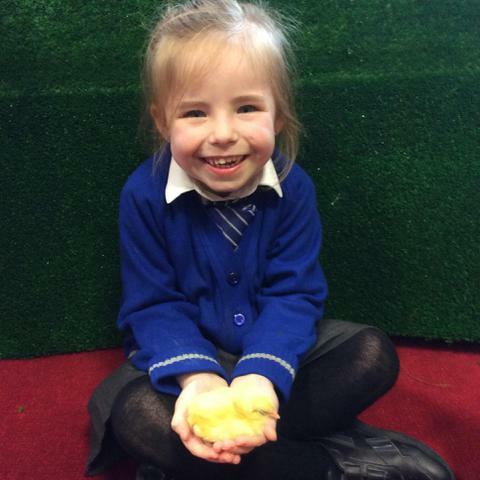 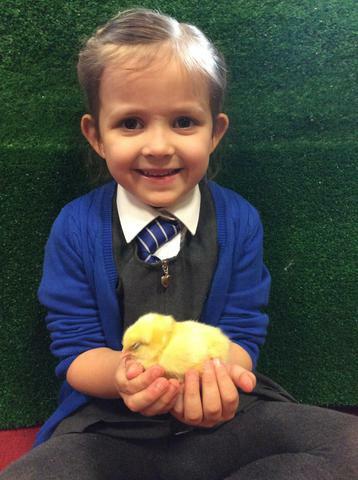 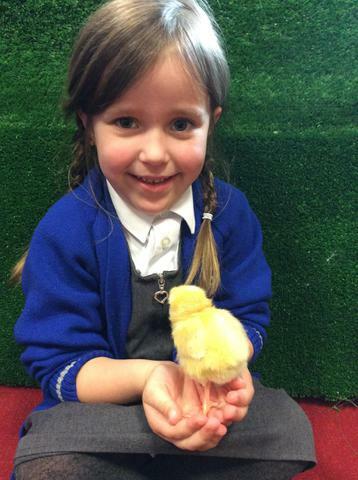 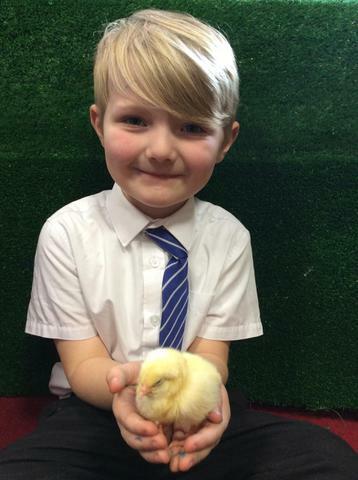 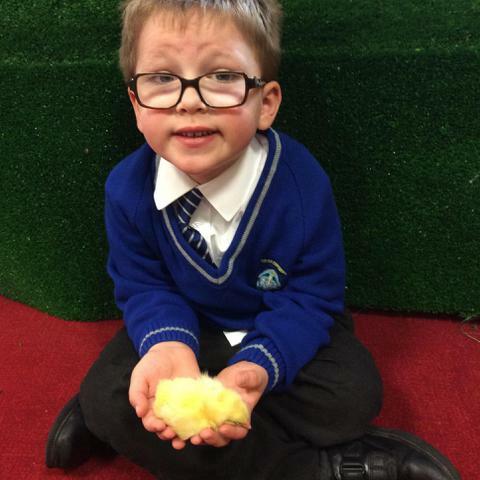 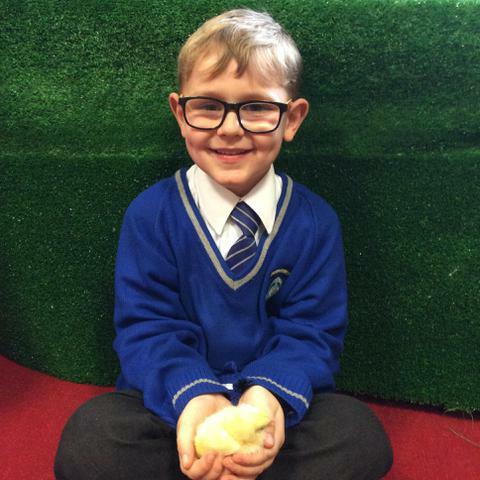 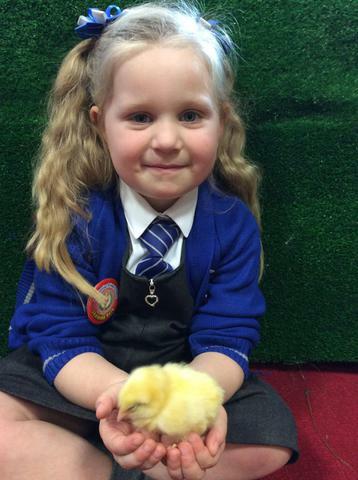 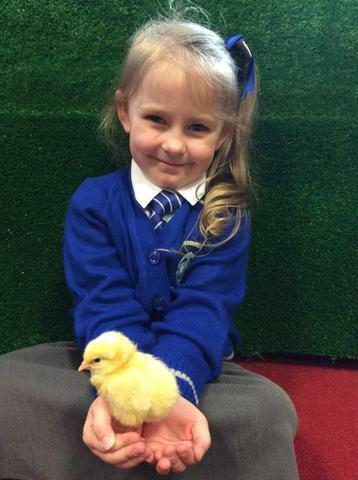 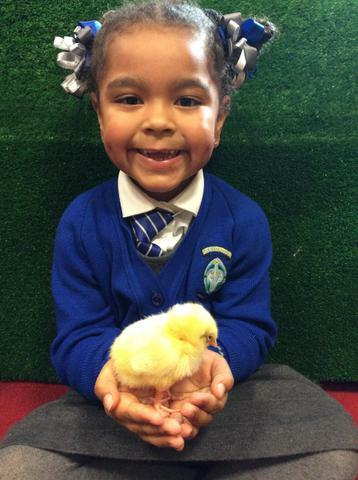 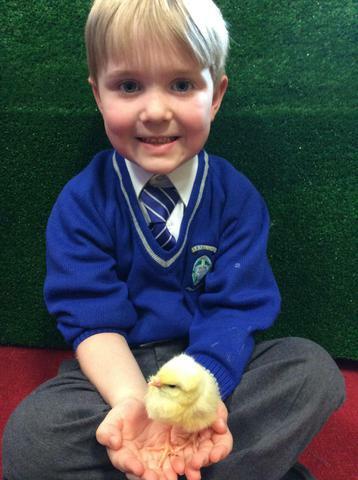 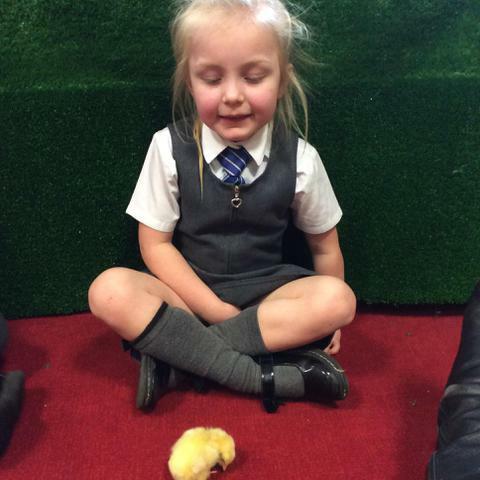 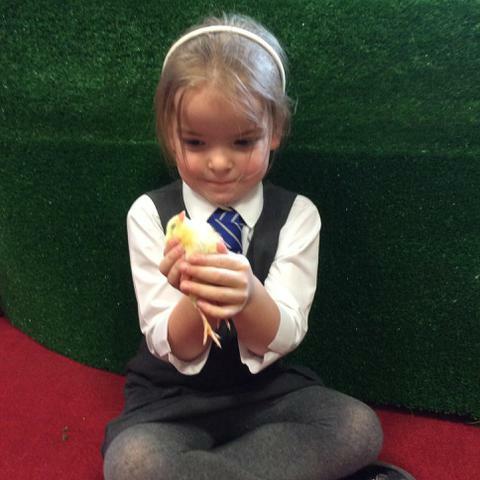 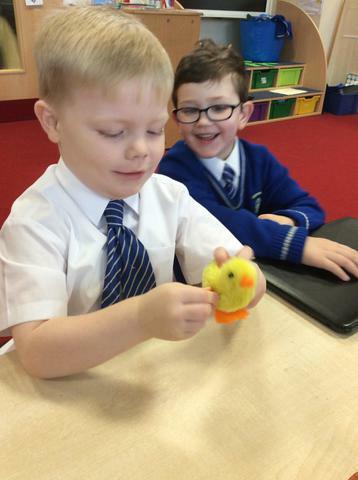 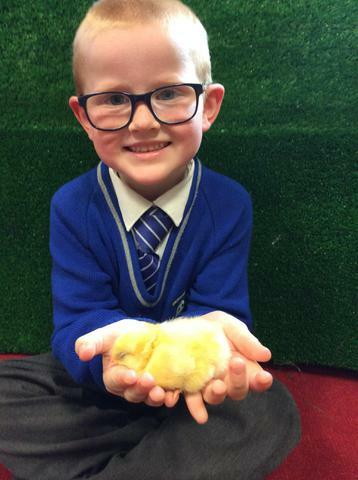 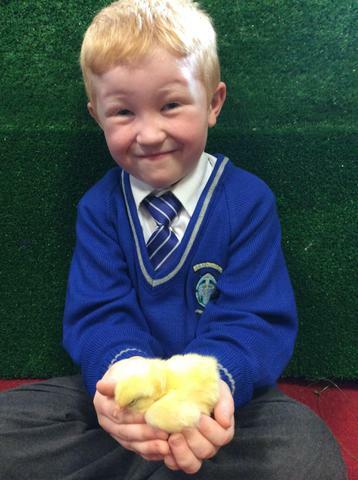 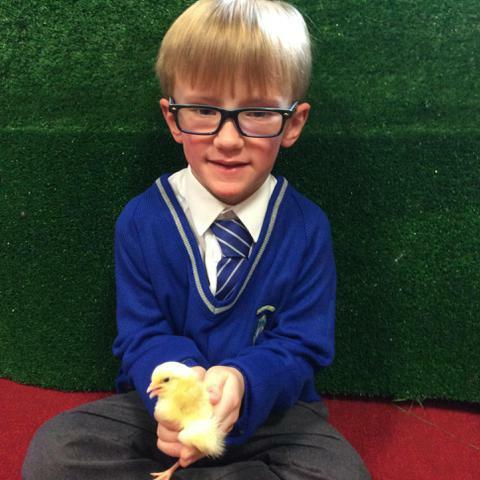 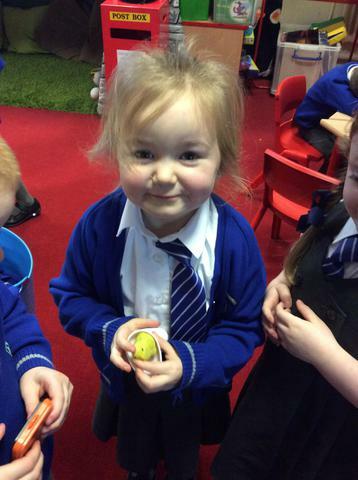 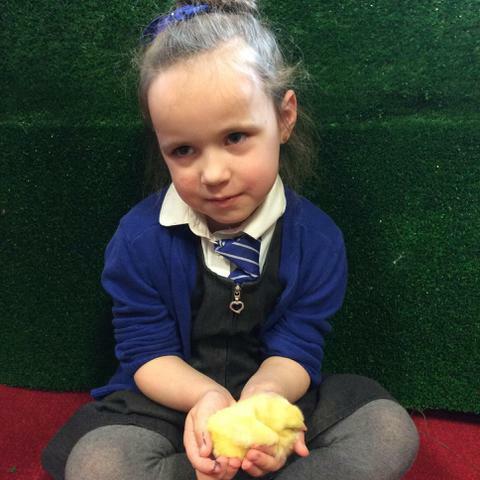 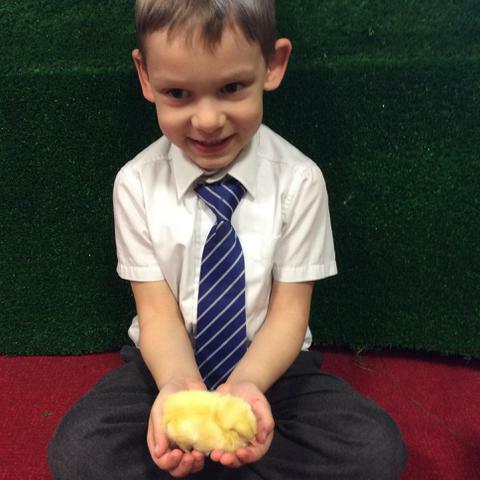 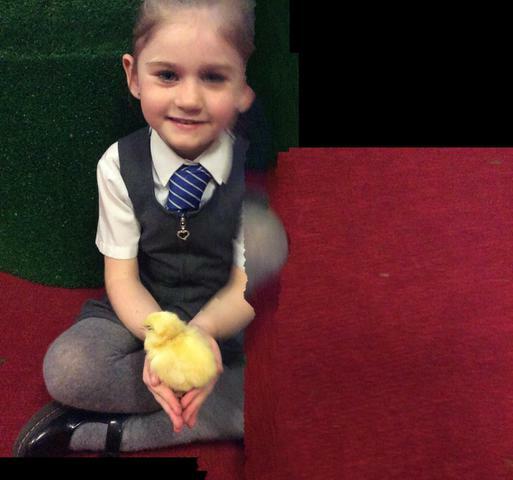 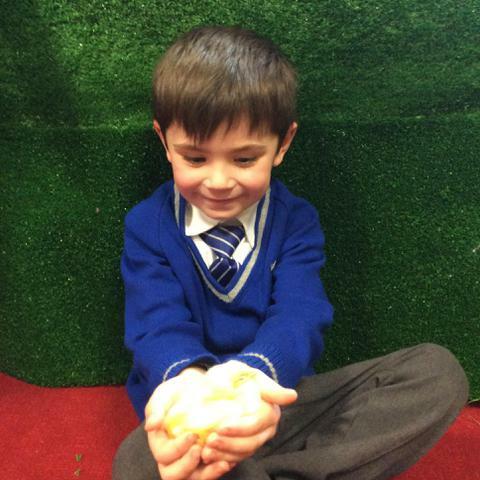 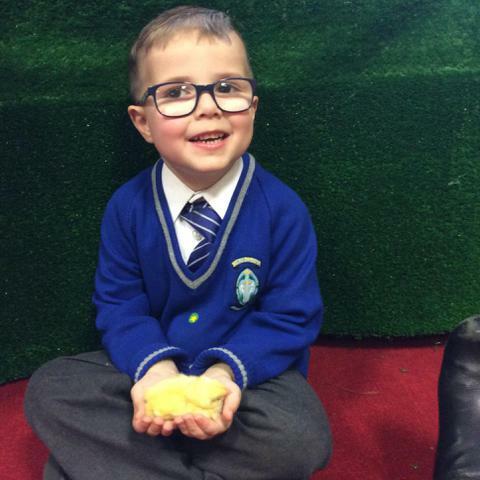 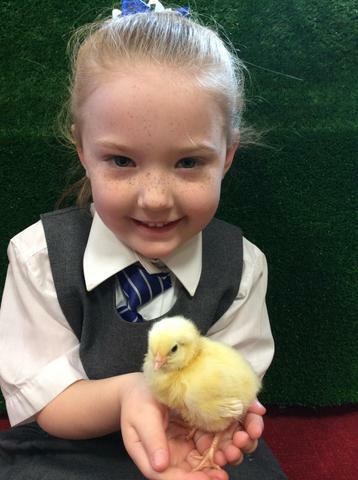 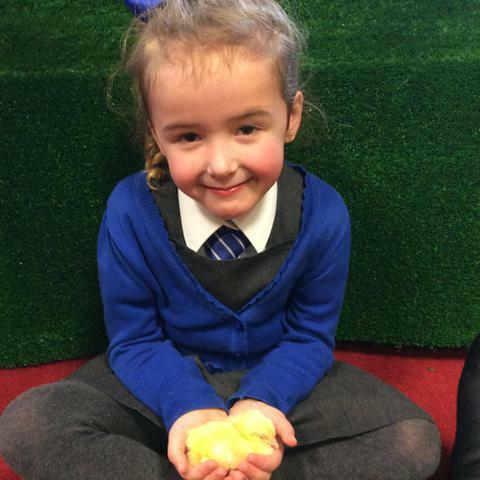 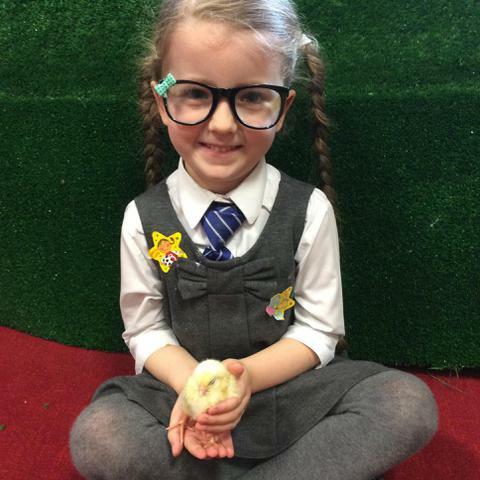 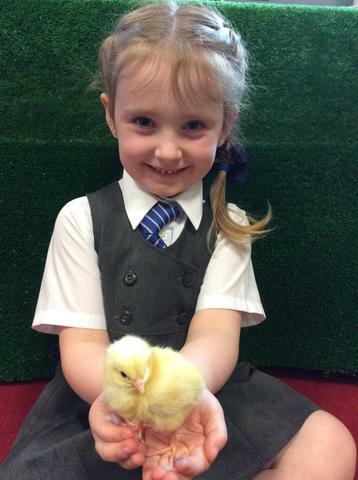 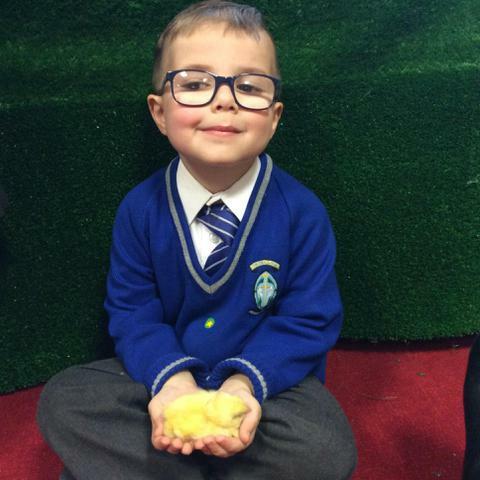 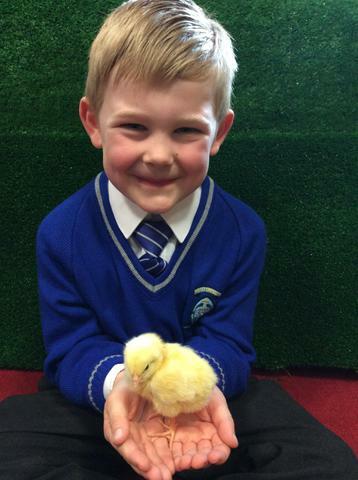 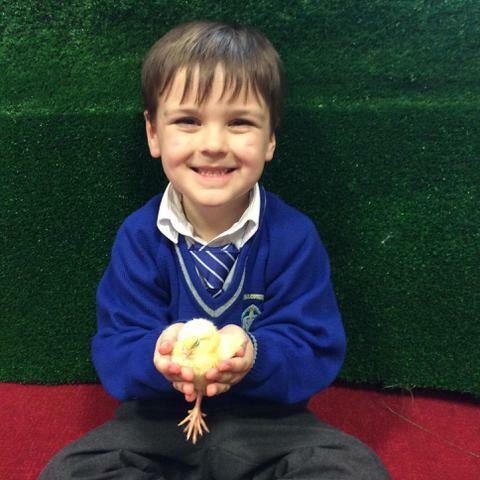 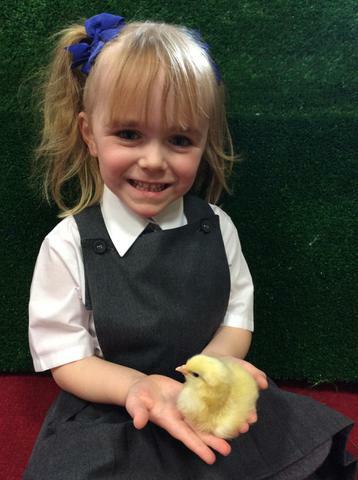 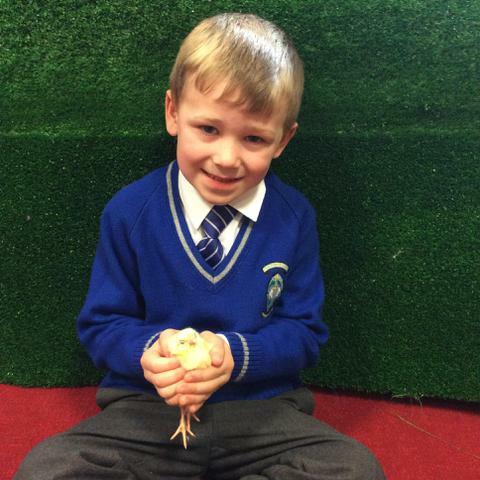 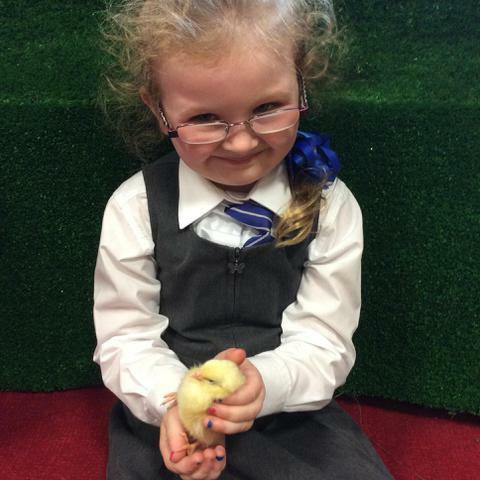 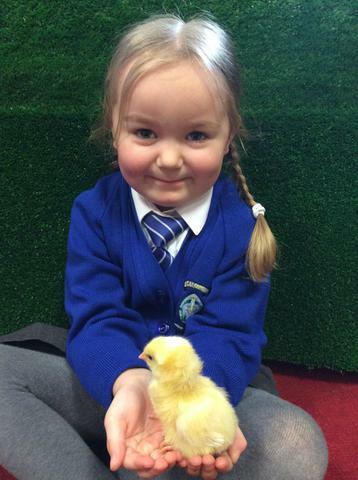 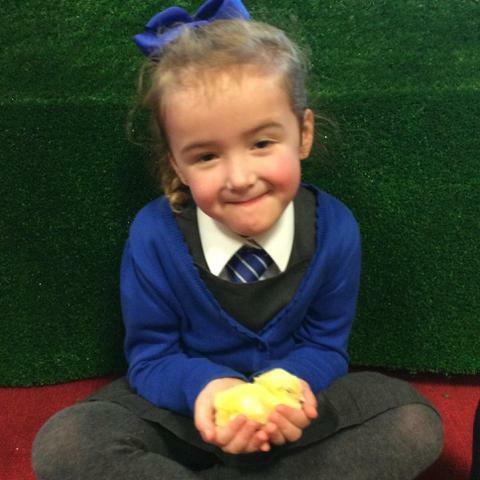 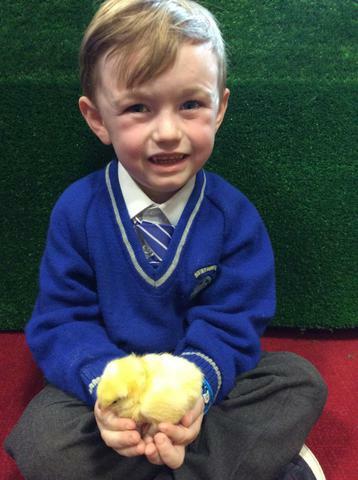 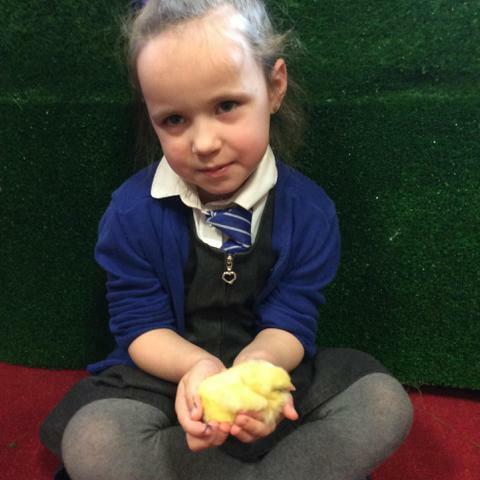 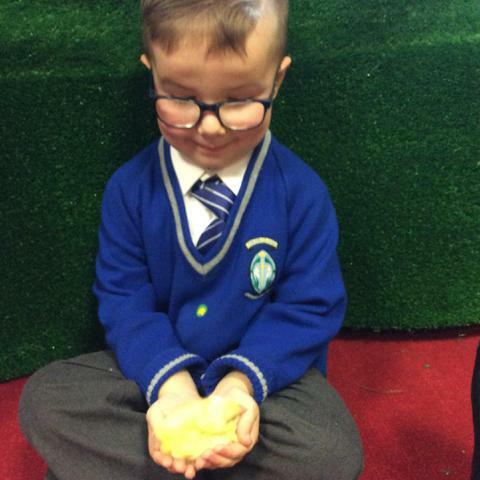 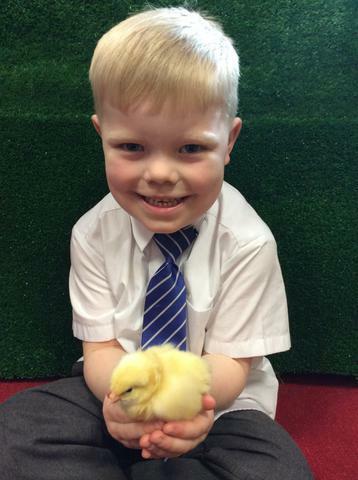 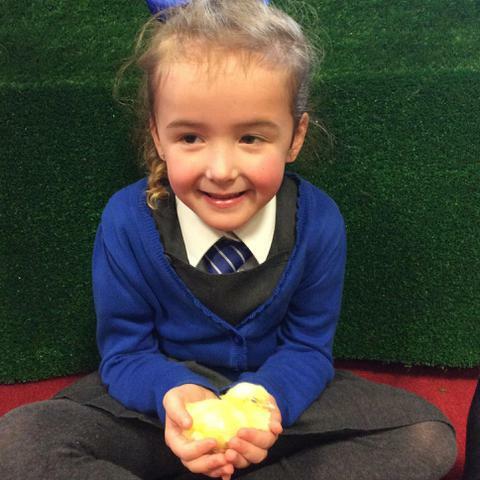 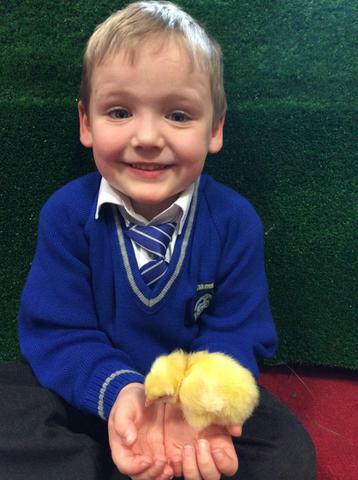 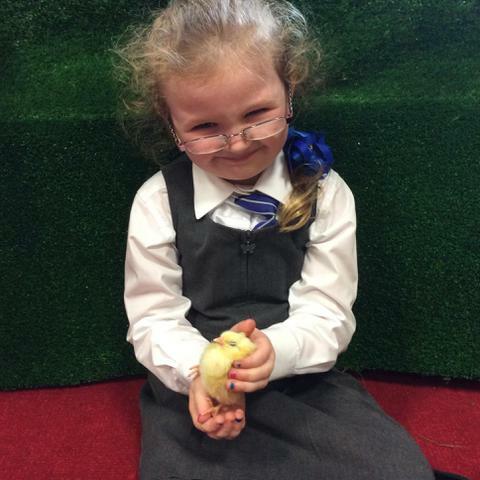 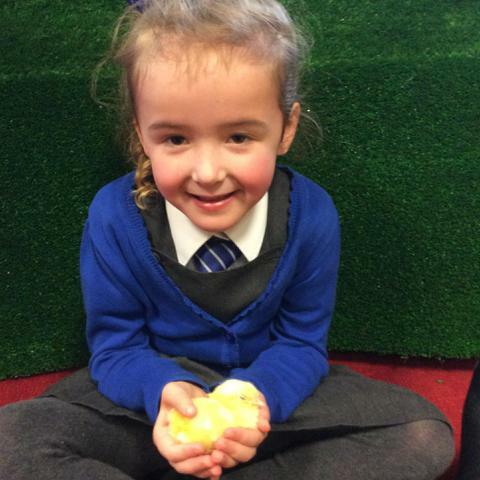 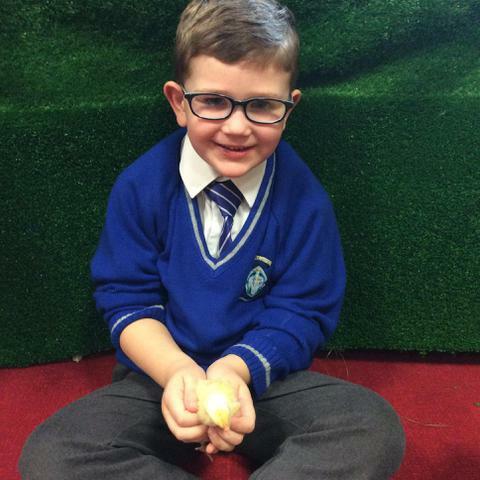 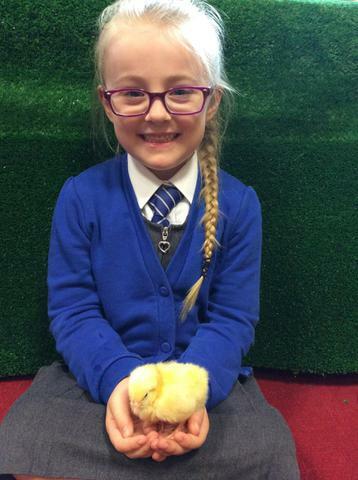 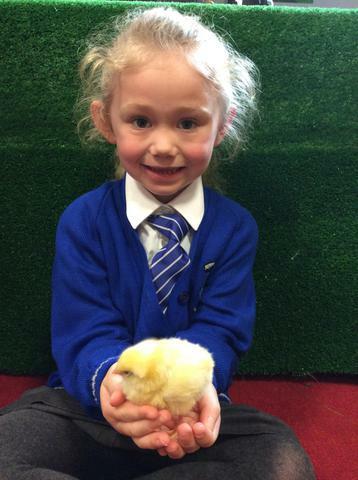 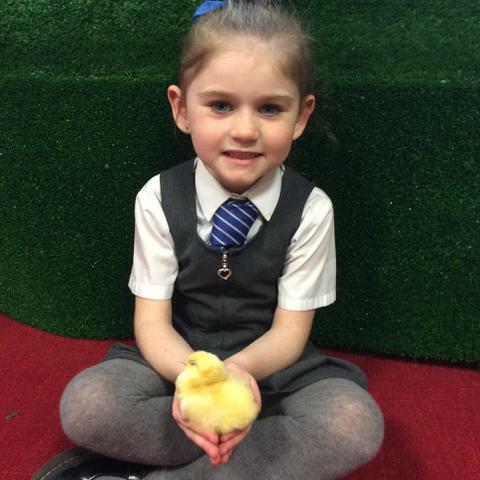 We have been so lucky this half term to be able to look after real chicks as part of our learning about 'growing'. 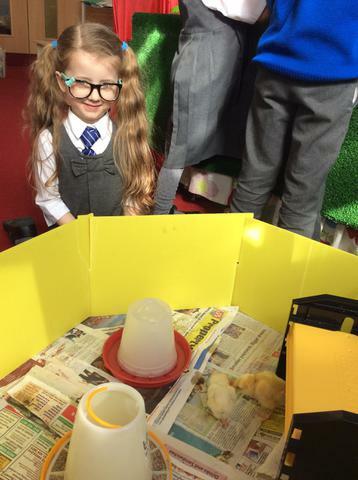 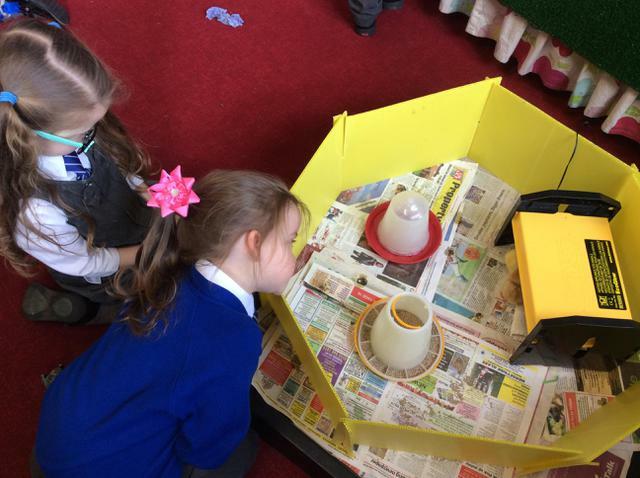 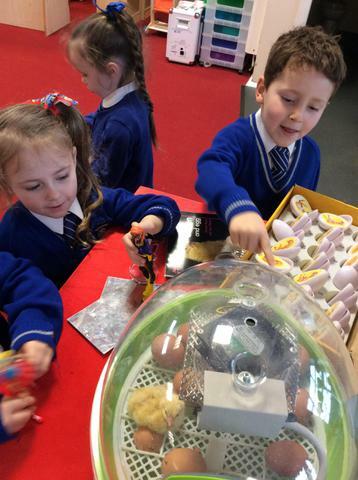 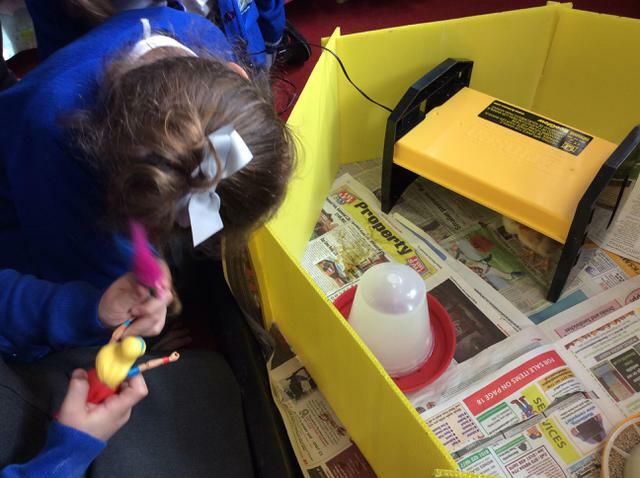 We were so excited by the arrival of the eggs and we learned all about how the incubator keeps the eggs warm, just like the mother hen would do. 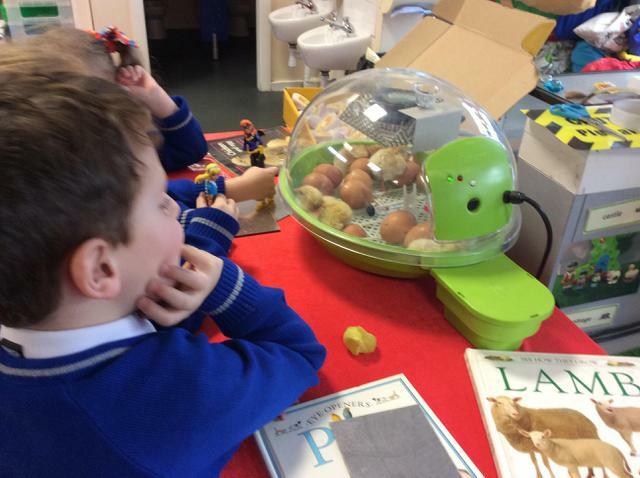 We learnt that they take 21 days to hatch and we loved looking at our life cycle eggs to show what they looked like at each day of the 21 day period. 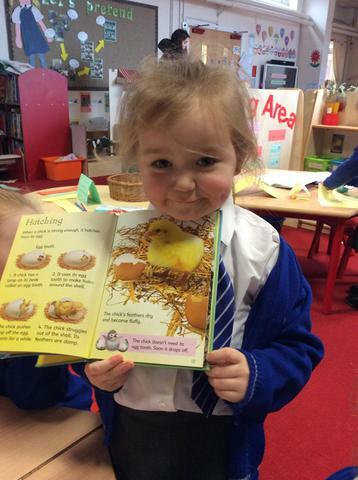 We read non-fiction books and learnt that we can find out information in books. 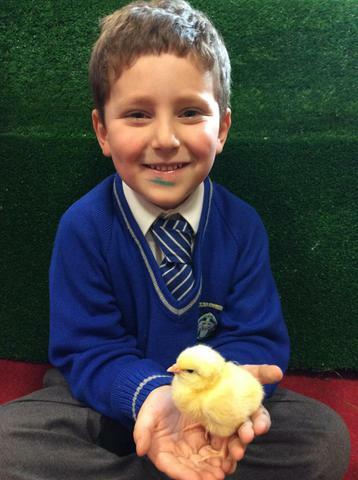 Some of us even tried to write our own information writing about the chicks. 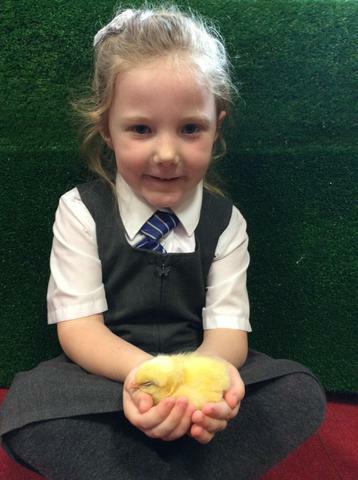 We were amazed when the chicks hatched on day 21 and we loved caring for them and watching them grow. 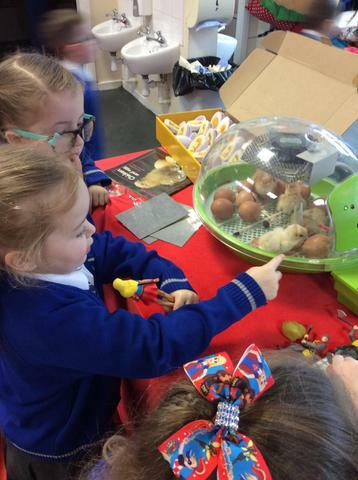 We loved being able to hold them and watched how they changed over time. 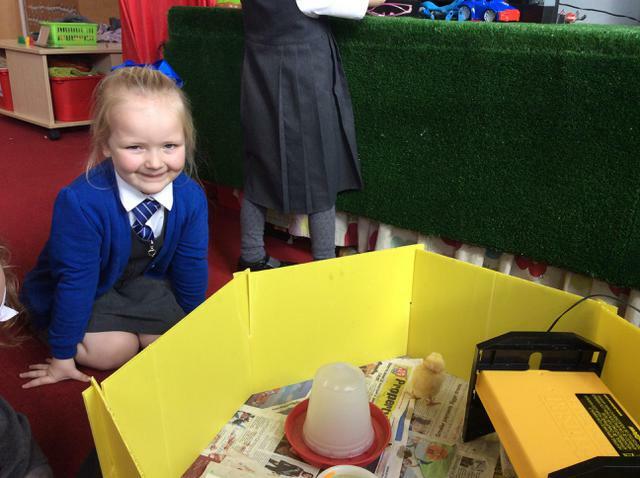 What a brilliant experience!